Learn how the practice of yoga can help heal acute and chronic grief. In this episode I share an interview with yoga teacher Paul Denniston who has created a special workshop for healing grief using yoga and movement. He’ll share stories of his own journey through grief and how his workshop is helping others. Learn more about grief yoga. The Thanksgiving Holiday is approaching in the U.S. and I want to wish everyone a week of gratitude and generosity as we reflect on all that life has given us. My family will be celebrating with our Annual Thanksgiveaway: handing out care packages to the homeless. This is just a small gesture of kindness as a way of expressing our thankfulness for all of our blessings of the past year. I hope you too find a special way to share with others on this holiday! I am especially grateful for all of my supporters on Patreon.com/eolu! Your generosity helps me feel connected to my audience and lets me know that you like the content I am creating. If you would like to become a patron you can sign up to contribute just $1 or $2 per month at Patreon.com/eolu. I hope you enjoy listening! Thank you Barbara for sharing with us! why laughter yoga is especially healing. Paul Denniston teaches Grief Yoga to bereavement groups in one of the largest hospices in Los Angeles, and has taught for several years at Kripalu Center for Yoga and Health. He offers techniques and exercises to therapists, counselors and health care professionals in the United States, England and Australia. Paul has studied with some of the world’s leaders in grief work, including David Kessler, William Worden and Elisabeth Kubler Ross. Tune in every Monday for a new episode! If you enjoy this podcast please consider leaving a review on iTunes – it will be greatly appreciated! Learn how this caregiver coped with his wife’s illness and rose above grief to experience unconditional love. In this episode I share an interview with Joe DiNardo who talks about his book A Letter to My Wife and discusses how his long-term practice of mindfulness meditation helped him cope with being a caregiver and grieving his wife’s death. Thank you to all of my supporters on Patreon.com/eolu who have helped keep this podcast on the air! We just had our first “Hospice Happy Hour” hangout last week and it was a great success. If you are interested in joining the hangouts or in having me promote your website, book, product, organization, or cause on this podcast, sign up to contribute just $1 or $2 per month and become a patron – Patreon.com/eolu! My guest this week is Joe DiNardo, an attorney from Buffalo NY, who served as a caregiver for his wife Marcia during her cancer diagnosis, treatment and eventual death. As a long-term practitioner of Vipassana meditation, Joe found that his mindfulness meditation practice helped him through the difficult challenges of caregiving and grief and he has much wisdom to share with us from the perspective of a family caregiver. You can purchase A Letter to My Wife at Amazon.com: Get the book here! Tune in next week when we will learn how to start a meditation practice with my guest Gia George who is a yoga and meditation teacher, singer-songwriter, and my daughter! 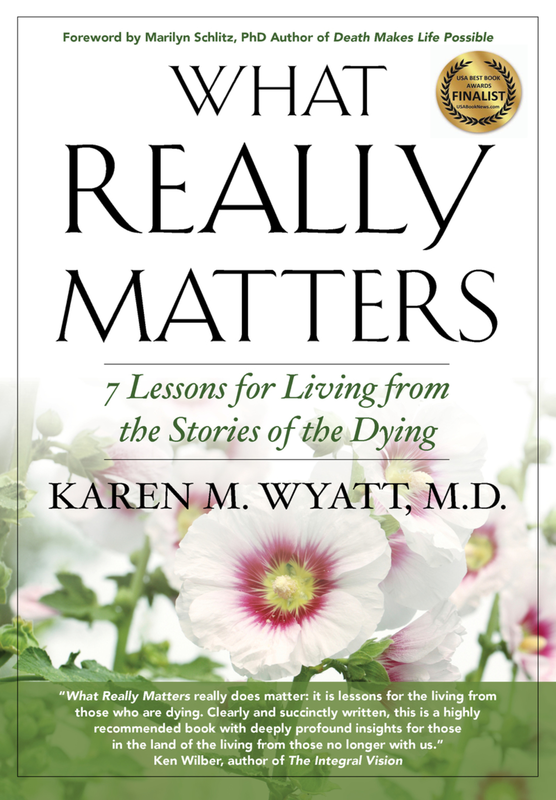 In this podcast I will discuss eight tips for coping with grief I have learned through the many interviews I’ve conducted in the past for End-of-Life University. One of the common threads I’ve found in the stories of my guests for EOLU is that most of us have experienced the death of a loved one in the past and that our current interest in the end-of-life arena has been inspired in one way or another by that death and our subsequent grief process. You will learn tips for coping with grief, practical suggestions for applying those tips to your own life situation and how to navigate the journey of grief that can be dark and lonely at times.